From this site, the audience can find different types of wallet for men, women and even some design for specialized activities. But have you ever thought you someday can select the best kids wallets to keep them surprised on their upcoming birthday? In fact, there is nothing makes one child excited as owning one wallet so they can save money from the early ages. This brings kids the feeling of growing up; as they now having some similarities in life as parents. According to some parents, giving kids the childrens wallets shows a good way of teaching them how to manage their money. We sure it is not too early to start teaching from today. Forming good habit will last effectively for a lifetime; so giving kids wallets is one of the biggest milestones. Kids wallets appear in a wide range of style and design in store and online websites, but choosing one that suitable with your kids requires parents to understand the kids personality. For boys, superheroes and Disney are available with Toy Story or Cars. In contrast, girls prefer the feminine symbol as barbie or fairies. This collection of Amazing kids wallets for boys and girls is waiting for you! LEGO is an educational toy set parents prefer to invest in purchasing for their kids, with the aim to enhance creativity and flexibility in the mind. Besides that, this brand still focuses on other essentials to bring kids closer to their product. This LEGO Brick Wallet is one imported product, which means it ensures to adapt the strict standard in requirements. Feature a combination of 98% CPSIA Compliant PVC and Spandex, wallet delivers the long-lasted lifespan and the ability to withstand accidental water. 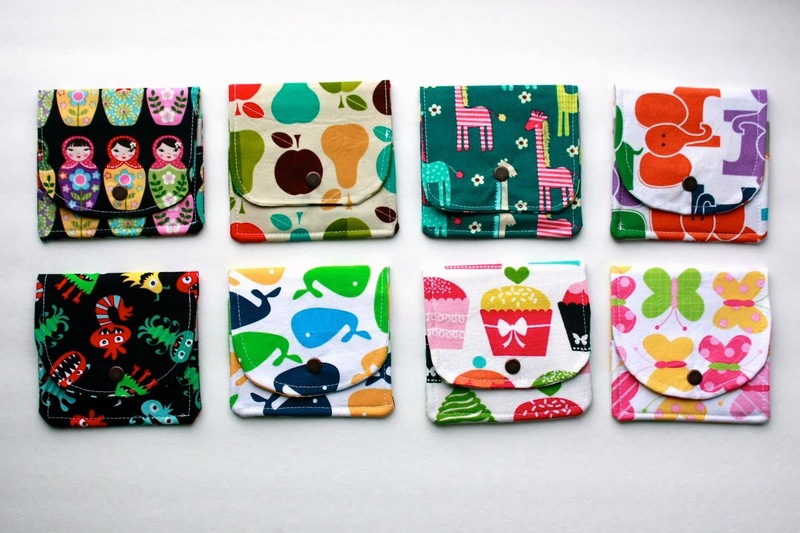 In term of design, these wallets for kids have their size measures roughly 0.2 x 3.2 x 4.5 inches, convenient for carrying on hands or but in pockets. Take a closer look, little boy wallets offer one full-length compartment, 2 slots for cards and one ID window. Since kids do not have any ID card, this slot is suitable to put in their favorite minigure. LEGO also attaches the Velcro closure to prevent things from sliding out due to carelessness. Fortunately, the real product appears to offer good quality as an advertisement. However, LEGO can consider improving the design by giving the coin pouch for little ones. If adults are attracted by the interesting Star Wars movie, then absolutely children do too. 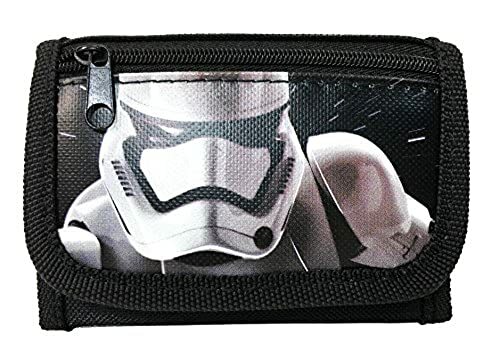 Take a look at this New Disney Star Wars “The Force Awaken” Storm Tropper Tri-Fold Wallet, it appears in the black color; to emphasize the printed image at the front. Specialized for boys, the little boys wallets utilize woven cotton to deliver the smooth experience for sensitive skin. There is one layer of premium nylon, which protects essentials from external damages. 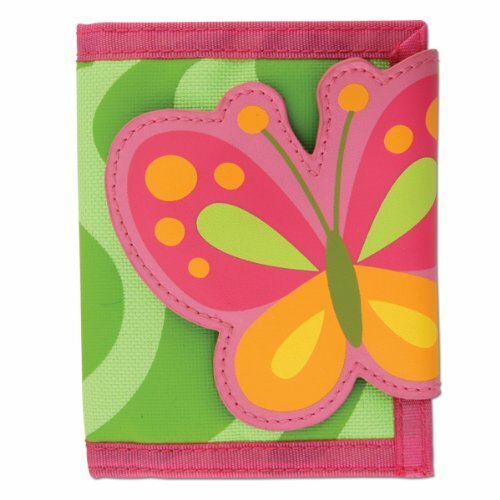 Kids wallets have their size measures roughly 5 x 3 inches; design features the tri-fold construction. Inside the item, it offers one full-length compartment for cash, one slot for credit card and 2 zippered pockets for coins. Kids will find one transparent slot for animation cards and some mini size figures (depends on their preference). Known as one Licensed Product from Disney, the item ensures to bring good quality no matter how hard it uses. Based on the comment, the zipper is said to appear with low-quality; which makes children find it hard to store their coins inside. Proud to suggest one new brand with the good quality and appealing design: the Stephen Joseph. This brand offers multiple ranges of product belong to shoes, clothing, and accessory. 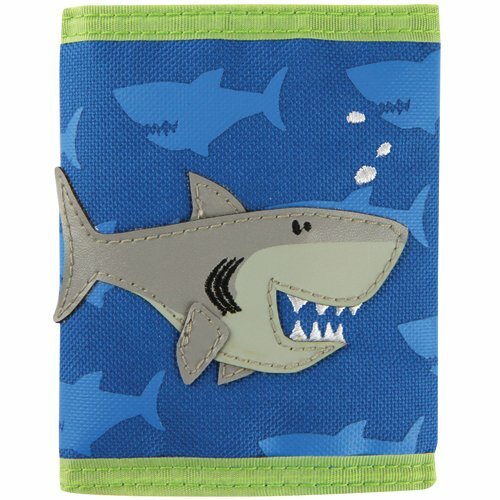 Attach the cartoon symbol at the front, this Stephen Joseph Wallet, Shark is too adorable that can grab your children’s heart from the very first glance. The kids wallets utilize woven cotton to deliver the smooth experience for sensitive skin. There is one layer of premium nylon, which protects essentials from external damages. Kids wallets have their product dimension measures roughly 5 x 3 inches; design features the tri-fold construction. Inside the item, it offers multiple slots; roomy space for cash – cards – coins. Kids will find one transparent slot for animation cards and some mini size figures (depends on their preference). To enhance the protection, you will find one Velcro protection to prevent things from sliding out. According to most customers, the real product appears to be very huge; which can be used for adults rather than kids. The Velcro appears as low-quality that can easy tear apart after a hard use. Whatever your toddlers are seeking for, Stephen Joseph ensures to meet all the different needs of its audience. While the previous one is more suitable for boys in the peaceful blue color; this Stephen Joseph Wallet, Butterfly will definitely win girls heart through the feminine design. Since small children are still too young to pay good maintenance, kids wallets utilize the premium nylon to protect things from flashes of water. Kids wallets have their product dimension measures roughly 10.5 x 0.5 x 4.5 inches; design features the tri-fold construction. Inside the item, it offers one compartment, 2 mesh slots, and one zippered pocket; roomy space for cash – cards – coins. Kids will find one transparent slot for animation cards and some mini size figures (depends on their preference). The precise part of this is the Velcro performance; which appears in multiple symbols from the cat, dog to butterfly for girls (depends on your selection). These adorable childrens wallets bring the good method for parents to teach their children the way to management. While kids tend to use coins, the coin slot appears to be very flat which means it reduces the space for storing. After being released, Marvel stories and films rapidly grab the attention of audiences. But this is not enough, individuals strive in collecting the accessory and anything which deliver the message from this symbol. And if you are seeking for one gift for your boys, this Spiderman Trifold Black Wallet is one of the coolest items. Feature the whole product in black color, it not only emphasizes the printed image of Spiderman; but prevents dirty stains on the surface as well. Designed as one of the tri-fold wallets for kids, it measures roughly 4.5″ x 3.0″. Based on this performance, it would be easy to carry things around on children hands. 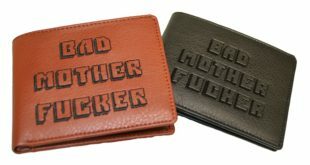 Since little boys wallets are imported items, it ensures to adapt strict requirements of quality and design in the USA. Take a closer look, wallet offers one compartment, slot for cards and one ID window. Since kids do not have any ID card, this slot is suitable to put in their favorite minigure. This is one good product received mostly compliments from customers. But as the width tends to increase when being folded, we do not recommend putting inside the children’s back pocket to prevent the back issues. Apart from the animation, Disney always tries to produce new things such as T-shirt, toys, wallet to bring kids closer to their world. 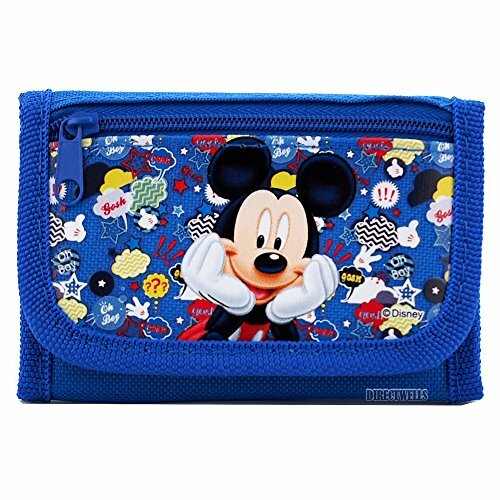 As this Disney Mickey Mouse Trifold Wallet is known to be one authentic licensed item; we sure you can ask related questions and even call for support whenever customers have the problem with their product. If your angels are the fan of Mickey series, then feel free to select one from these multiple colors: Blue – Black – Pink. When being closed, the kids wallets have their size measures roughly 4.5 x 0.2 x 3 inches. Based on this performance, it would be easy to carry things around on children hands. Take a closer look, wallet offers one compartment, 2 slots for cards and one ID window. Since kids do not have any ID card, they will find 2 zippered pockets (one inside and one outer); which are convenient for bringing keys or tickets. These adorable childrens wallets bring the good method for parents to teach their children the way to management. Fortunately, the real product appears to offer good quality as an advertisement. Basically, kids wallets appear in the same design and add various symbols to suit different flavors of boys or girls. 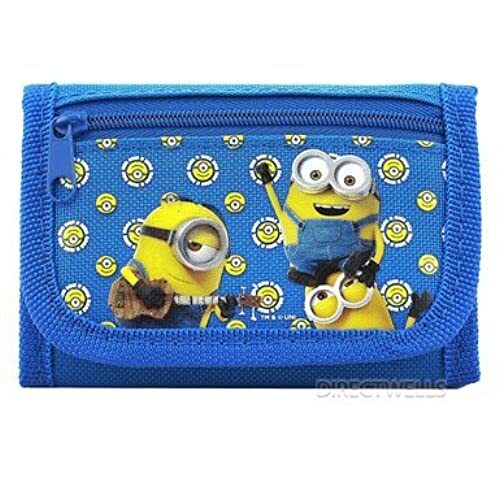 With this Despicable Me Minions Authentic Licensed Trifold Wallet, parents can select the black or blue. But black would be suitable for boys who actively play on the playground all day. Since small children are still too young to pay good maintenance, kids wallets utilize the premium canvas in woven construction; to protect things from flashes of water. When being closed, the kids wallets have their size measures roughly 4.5 x 0.2 x 3 inches. Based on this performance, it would be easy to carry things around on children hands. Take a closer look, wallets for kids offer one compartment, 2 slots for cards and one ID window. Since kids do not have any ID card, they will find 2 zippered pockets (one inside and one outer); which are convenient for bringing keys or tickets. The product comes as one of the real kids wallets; which is perfect for small children to start their saving habit. Based on the comment, big kids may not suit this size so it is better to buy for toddlers. Woohoo, Disney’s animation!!!! Come on a journey with your favorite character including the latest and exclusive Elsa accessories; including wallets for kids. 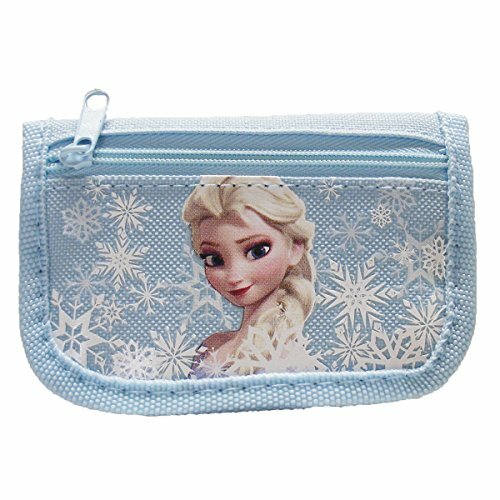 Attach the cartoon image at the front, this Disney Frozen Elsa Light Blue Trifold Wallet is too adorable that can grab your children’s heart from the very first glance. The kids wallets utilize woven cotton to deliver the smooth experience for sensitive skin. There is one layer of premium nylon, which protects essentials from external damages. 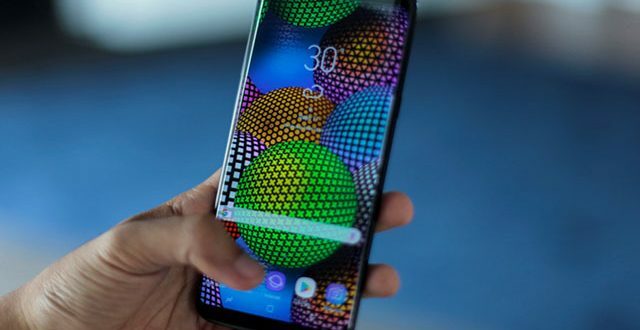 Know that there will have customers who do not satisfy with the product, the manufacturer offers 30 days warranty (allows individuals to get a replace or refund if there is any issue). This item is better when using for small kids; since the slots seem to be small and offer less space. 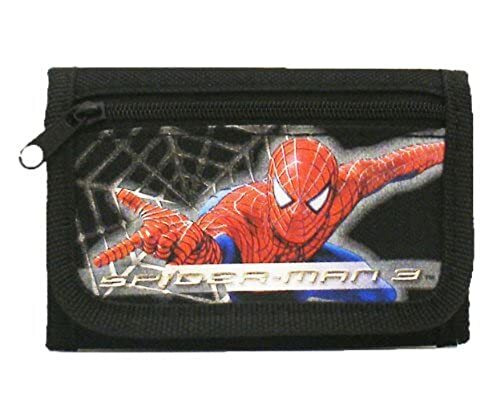 Besides the symbol of Spiderman, kids wallets for boys highlight multiple characters is also a bonus point; as it fulfills all the missing pieces of the team. 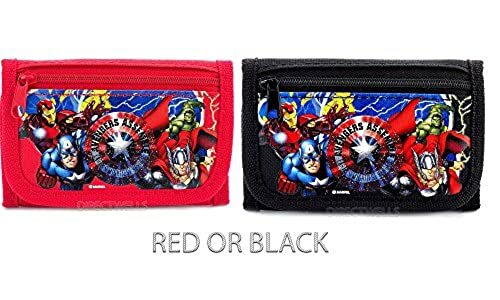 And if you are seeking for one gift for your boys, this Marvel Avengers Red or Black Trifold Kids Wallets are the coolest items. Feature the whole product in black or red color, it not only emphasizes the colorful visual graphics; but prevents dirty stains on the surface as well. 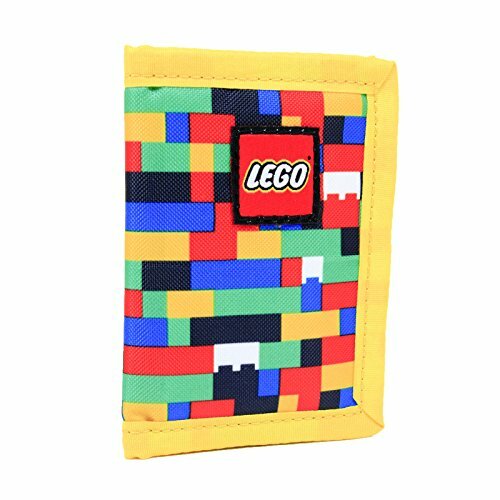 Designed as one of the tri-fold wallets for kids, it measures roughly 4.75″ x 3.0″. Based on this performance, it would be easy to carry things around on children hands. Since little boys wallets are imported items, it ensures to adapt strict requirements of quality and design in the USA. Inside the item, it offers one compartment, 2 mesh slots and 2 zippered pockets; roomy space for cash – cards – coins. Since kids do not have any ID card, these slots are suitable for storing keys or mini game cards. This is one good product received mostly compliments from customers. Since kids do not have any ID card, the slot is one advantage to putting in their favorite minigure. If adults are attracted by the interesting Star Wars movie, then absolutely children do too. 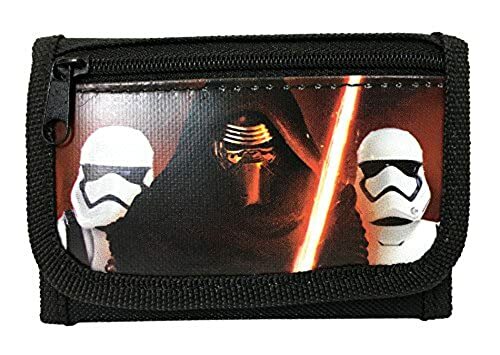 Take a look at this New Disney Star Wars “The Force Awaken” Kylos Tri Fold Wallet, it appears in the black color; to emphasize the printed image at the front. Specialized for boys, the little boys wallets utilize woven cotton to deliver the smooth experience for sensitive skin. There is one layer of premium nylon, which protects essentials from external damages. Known as one Licensed Product from Disney, the item ensures to bring good quality no matter how hard it uses. Based on the comment, individuals will find it hard to close kids wallets using Velcro after months using. After all, these designs of kids wallets are suitable for both boys and girls. Take advantage of premium cotton and nylon, wallet not only protects essentials from the external damages due to carelessness; but offers the soft experience which is safe for sensitive skin of children. 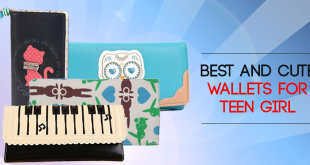 Take a look at the wallets above and share with us if you have found any interesting one.